I won't pretend to know anything about the Assassin's Creed video game series or video games in general to the point I'm typically indifferent to the idea of video game film adaptations especially given most tend to be financial failures with the few I've seen largely being forgettable. 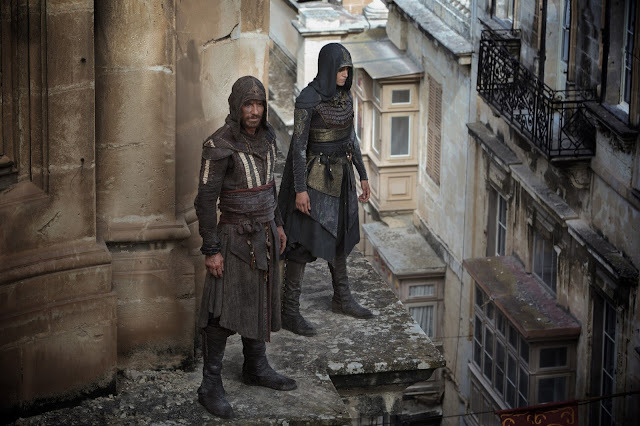 It is with this Assassin's Creed adaptation though that my interest is piqued. 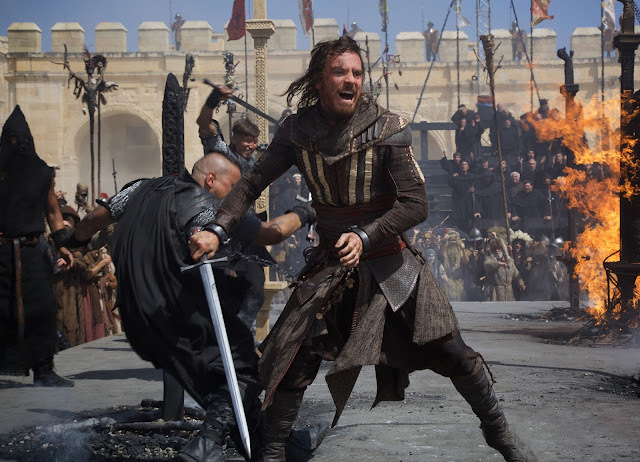 Not only for the fact it has Michael Fassbender in the starring role, but that it has the actor re-teaming with Macbeth director Justin Kurzel and his cinematographer Adam Arkapaw who, despite shortchanging Shakespeare's story, made a visually stunning representation of The Bard's play. 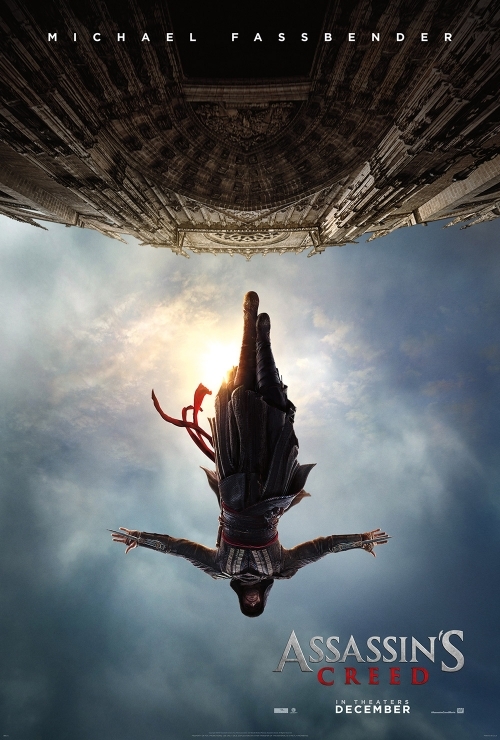 With Assassin's Creed it seems as if Kurzel and Fassbender were very much intent on keeping the same visual style intact as, if there is one thing that stands out about this trailer it is how gorgeous it looks. As far as story goes though, I was unsure what to expect and while a little bit of reading will enlighten one to the fact the game series is set in a fictional history of real world events and follows the centuries-old struggle between the Assassins, who fight for peace with free will, and the Templars, who desire peace through control-I still wasn't sure what to expect. This summary sets up your basic good versus evil situation, but the trailer for the film makes this premise slightly more enticing by introducing us to Fassbender's Callum Lynch, a death row inmate who is taken to a pharmaceutical company known as Abstergo (which seems to indicate some future conflicts) as they go through with a procedure on Lynch that enables him to experience the memories of his ancestor in 15th Century Spain. Consider me enticed. Also, I dig the music choice. 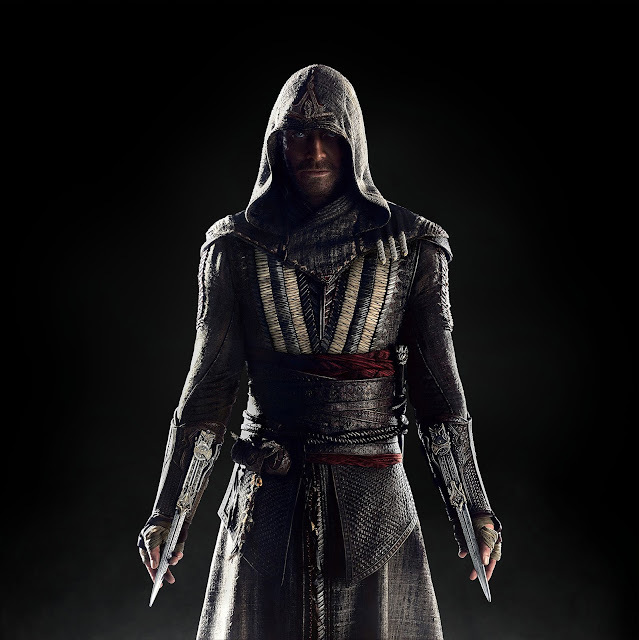 Assassin's Creed also stars Marion Cotillard, Jeremy Irons, Brendan Gleeson, Michael K. Williams, and opens December 21st, 2016. Synopsis: Through a revolutionary technology that unlocks his genetic memories, Callum Lynch (Michael Fassbender) experiences the adventures of his ancestor, Aguilar, in 15th Century Spain. Callum discovers he is descended from a mysterious secret society, the Assassins, and amasses incredible knowledge and skills to take on the oppressive and powerful Templar organization in the present day. ASSASSIN’S CREED stars Academy Award nominee Michael Fassbender (X-Men: Days of Future Past, 12 Years a Slave) and Academy Award winner Marion Cotillard (The Dark Knight Rises, La Vie en Rose). The film is directed by Justin Kurzel (Snowtown, Macbeth); produced by New Regency, Ubisoft Motion Pictures, DMC Films and Kennedy/Marshall; co-financed by RatPac Entertainment and Alpha Pictures; and distributed by 20th Century Fox.